"Well, what if I told you I had a plan? It's the only thing powerful enough to stop what's coming." 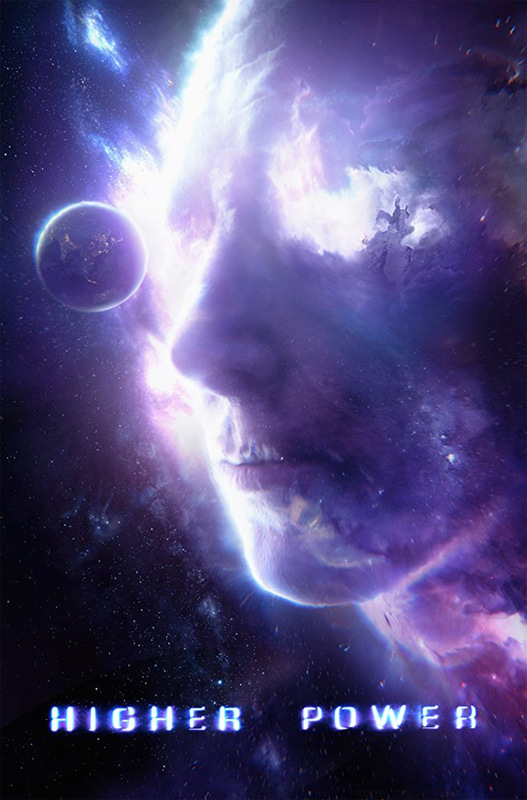 Magnet Releasing has debuted the first official trailer for a very weird, global-scale indie sci-fi film of sorts titled Higher Power, about a gamma ray that gives a human on Earth some crazy impressive superpowers. This is very hard to describe, you just have to dive into the footage. The official description is fairly vague as well, only explaining that "when the Universe decides what it wants, it's pointless to resist." You'll get a sense of this in the trailer. Starring Ron Eldard as Joe Steadman, who reminds me a lot of a young Jeff Daniels in Dumb & Dumber. The cast includes Jade Tailor, Austin Stowell, Jordan Hinson, Colm Feore, Tom Wright, and Laura Margolis. This actually looks pretty cool, and a bit weird. It's worth a watch, for sure. When the Universe decides what it wants, it's pointless to resist. With his family's life at stake, Joseph Steadman (Ron Eldard) finds himself the unwilling test subject of a maniacal scientist in a battle that could save the world, or destroy it. Higher Power is directed by filmmaker Matthew Santoro, making his feature directorial debut after working as a visual effects artists for years on movies like X-Men Origins: Wolverine, 300, Fantastic 4: Rise of the Silver Surfer. He also edited and did visual effects work on this movie as well. The screenplay is written by Matthew Santoro and Julia Fair. Magnet Releasing will release Santoro's Higher Power in select theaters + on VOD starting May 11th at the start of the summer. Curious?